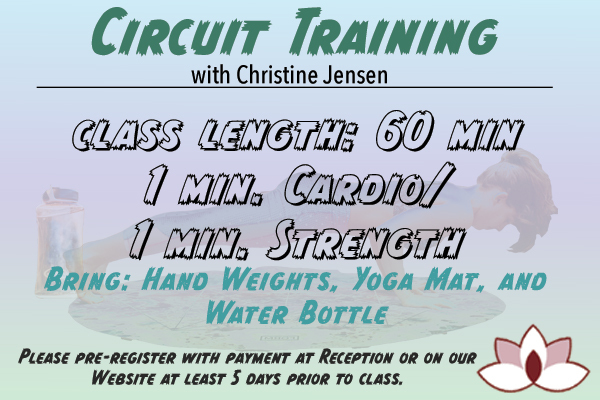 Circuit Training Fitness Class – 8 Weeks Long Dates: April 9th, 16th, 23rd, 30th, May 7th, 14th, 21st, 28th. 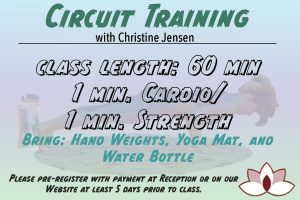 Join Christine for a good sweat! We’ll do a minute of cardio, followed by a minute of strength. The minutes fly by! We always end with stretching. We workout to FUN music! The kind of music that makes you want to move and keep moving. Not only we will sweat together, we will laugh together and we will motivate each other! Back To Bliss is offering a class that was developed by a massage therapy school as a ‘first look’ into the career. 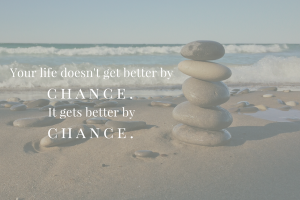 When potential students would question whether or not they were ready to commit to a full year long massage therapy program, the school would steer them towards a version of the 15-hour course we are offering. Let’s face it, the commitment of time and money is often scary. Many potential students know they like to give back rubs to family and friends, but they have very little real experience or knowledge about professional massage. This course is the answer to these questions. It was designed to teach a full body oil massage in a group setting. Students expressing any interest in Massage Therapy as a career can get an authentic experience of what it would be like to give massages as a professional. Taking this course will give enough experience to confirm or remove any doubts about massage as a career before students take the large step of committing to a full program. Several people have expressed interest in this course already, but the dates we have scheduled for our first run don’t work for them. If you also interested but looking for other times that work for your schedule, please contact us with what does work for you so we can set up a second course time that does work for you. Choose from any of the following three six week sessions. 6 classes. 2.5-3 hours each. Fee: $125 / person or $200 / couple if signing up together. Congratulations on taking an interest in emotional, mental, and spiritual wellness. Bach Flower Remedies are an amazing therapy type, or modality, that works on this level our being to profound effect. There is a lot to talk about and be interested in with these great remedies. They are gentle without typical drug interactions or side effects. They work well for a large demographic of ages and emotional needs, and most of all, they are greatly effective. Dr. Edward Bach (1886 – 1936) was very instrumental in educating the public in the remedies that reach the vibrational level of yourself to help in the healing process of emotions. In other words, think of a piece of music or art that really moves you from the core. Your reaction has deep emotional and subconscious tones that resonate through you. 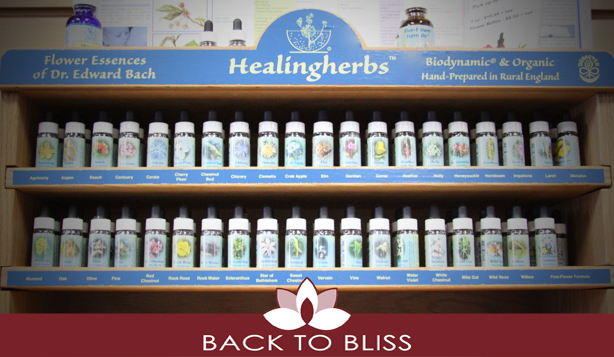 These ‘vibrations’ are the level on which Bach Flower Remedies work within your system. “They do not work because of the chemical composition of the liquid, but because of the life forces derived from the plant and contained in the water-based mixture…” Bach (p. 7). Very often when things are new, it’s hard to truly understand them without experiencing them. So here are the details on Impatiens, which was the first flower that Dr. Bach produced in remedy form. “Ones who are impatient, irritable, nervous and quick to judge on a subject matter with negative appeal.” Impatiens helps with frustration towards others who are not ‘being fast enough’ for our liking. Josiah talks a little bit about this remedy below. Details on how these remedies are made and used can be found in our upcoming class. Join us for a detailed examination of all the original Remedies developed by Dr. Bach. 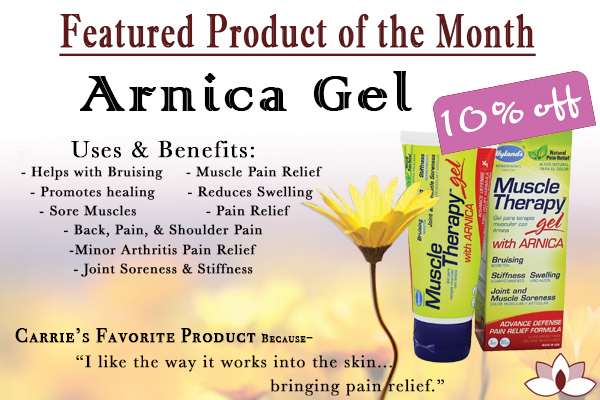 We will discuss how the remedies are used, mixed, and made in detail. 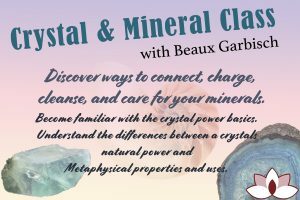 By the end of this class series, you should understand how to create your own mixes and evaluate flowers for friends, family, and yourself. Kaminski, P. & Katz, R. (2000). Flower Essence Repertory: A Comprehensive Guide to North American and English Flower Essences for Emotional and Spiritual Well-Being. Nevada City, CA: The Flower Essence Society. Anxiety, depression, judgment, impatience. These are just a few of the unbalanced emotional spaces we can fall into. Bach Flowers give us a holistic and gentle way to resolve these negative emotions at a deep soul level. And not just deep clinical emotional unbalances. Bach Flower Remedies are great for us to use just to keep tendencies of unbalance from becoming problematic at larger levels. Bach Flowers work at a vibrational level, which is an excellent method for transmitting deep emotional and subtle information. They work without drug interactions and are completely safe for children. In fact, since they work on a very subtle level, they are great for helping children process emotions which they don’t have words to process intellectually. Learn about the original flowers developed by Dr. Bach as well as the seven major veins of mental anguish he categorized. Flowers such as Holly which helps people process jealousy will be discussed so you can learn how to help the emotional balance of your family. We will discuss all of the original Bach flower remedies along with how to use them. 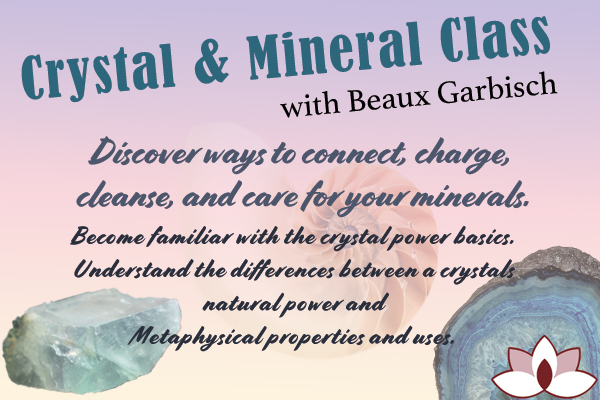 4 weekly classes will run Sundays from 3:30-5pm beginning on Feb 26th. Fee is $20 without book and $40 with book. Class will be casual with tea and discussion.